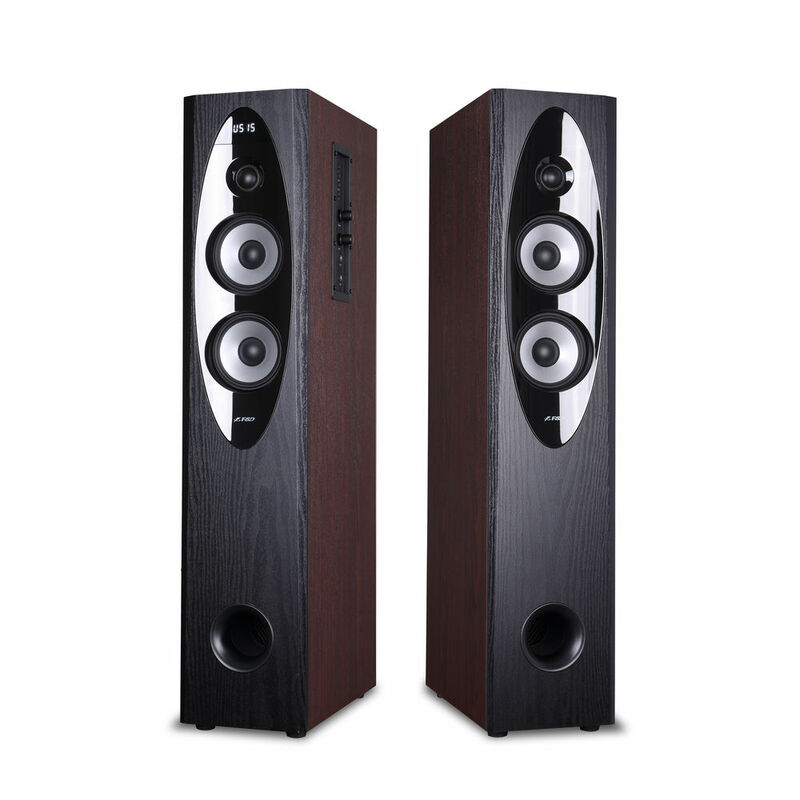 This towering F&D T-60X floor standing speakers T-60X 2.0 with gigantic sound range are a glimpse to the future! 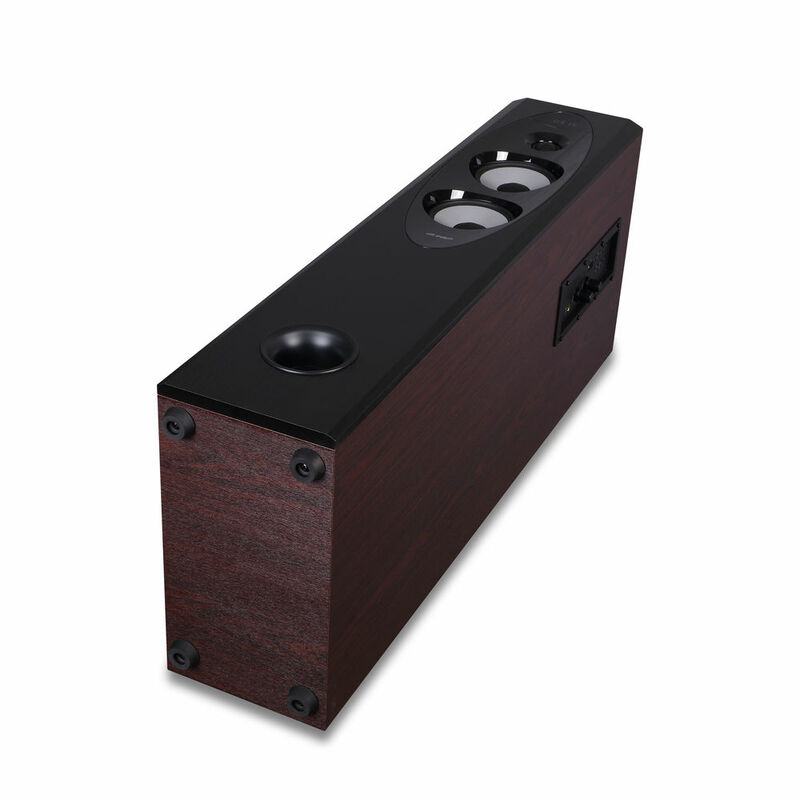 Add manifolds of bass to your songs playlist while they blare-out through this Bluetooth speakers. 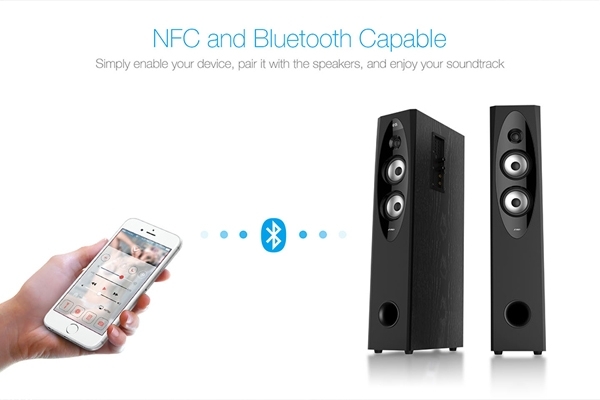 Along with Bluetooth, these speakers have multiple connectivity options such as NFC, AUX. 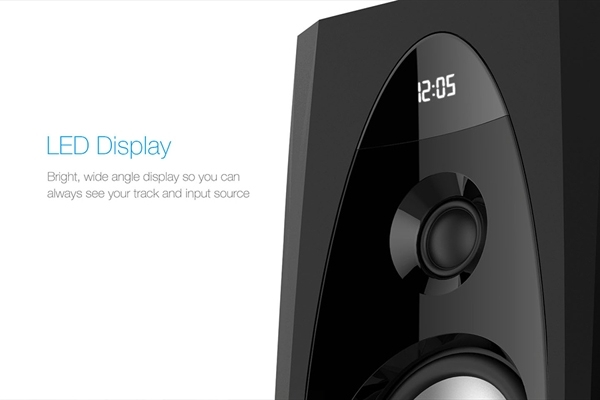 If you want to be surprised with random tracks which are not on your playlist, well it also has FM Radio built in it. 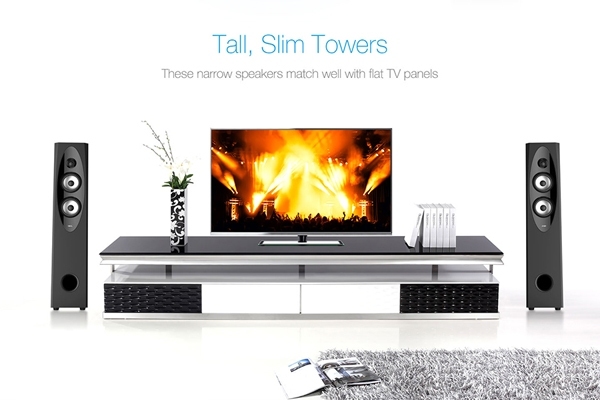 Buy, this exciting NFC enabled system of floor standing speakers from Infibeam at a bombastic price! 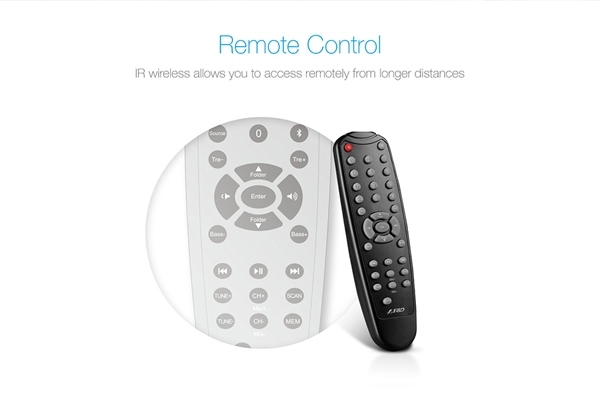 Standby, Source and Bluetooth button, Play/Pause/FM auto scan button, Previous/CH-, Next/CH+, Volume+/- button. 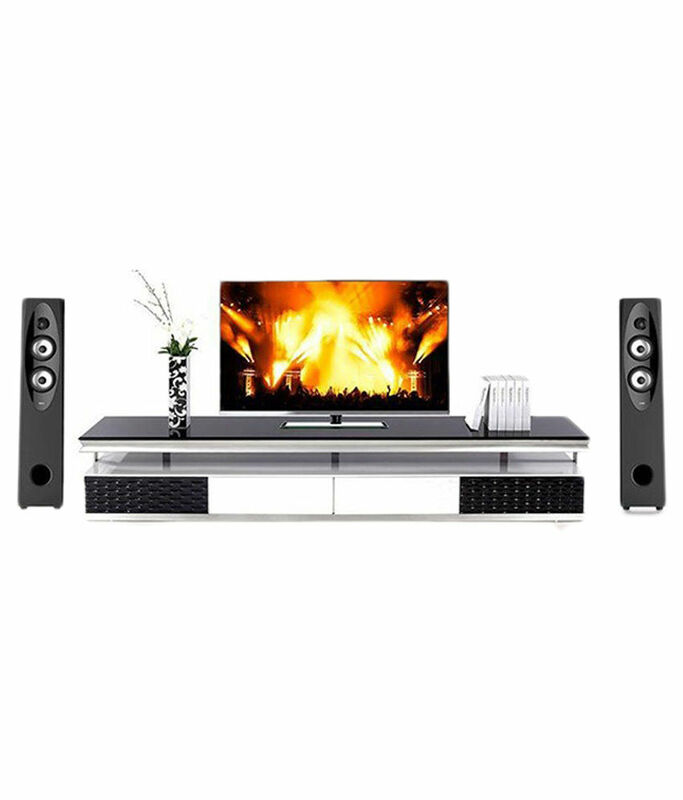 Best stereo speakers with mic. Also sound quality is best. 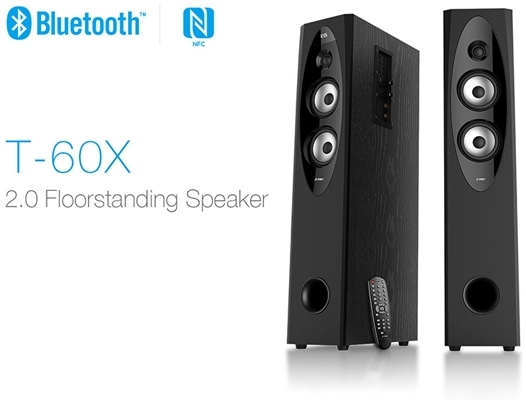 A good pair of speakers. 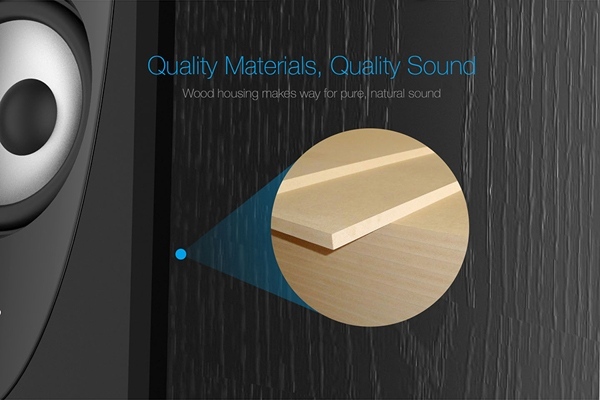 Sleak in design and quality of material is also good. 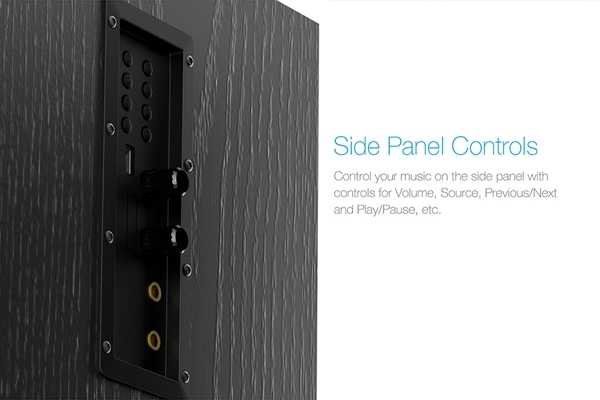 Sound is good and Bass is also sufficient for a room. 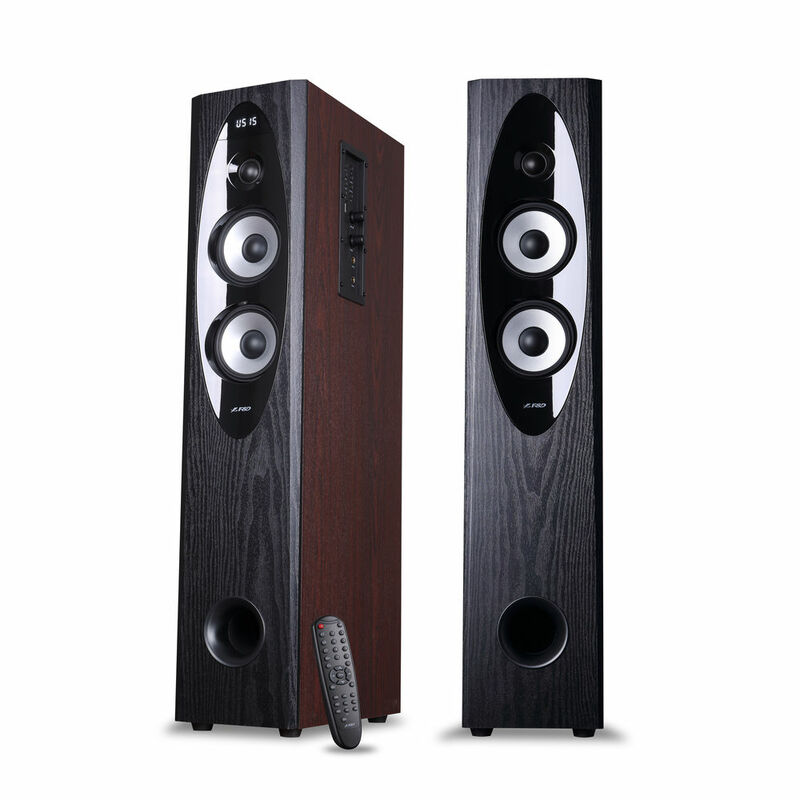 Good speakers in this price. Thumbs up for F &D.
Price, delivery and logistics of Infibeam : 5* Product : 4* - everything about the product is excellent and genuinely value for money; one star deducted because of poor quality of FM receiver - not able to pick FM signals well even when a mobile handset kept next to it manages to give great FM reception. F&D need to work on this minor, but very valuable technical flaw - with a better built-in FM receiver than the current version, it would have made for an outstanding experience. Overall, a very wonderful experience. Thank you Infibeam as well as F&D ! 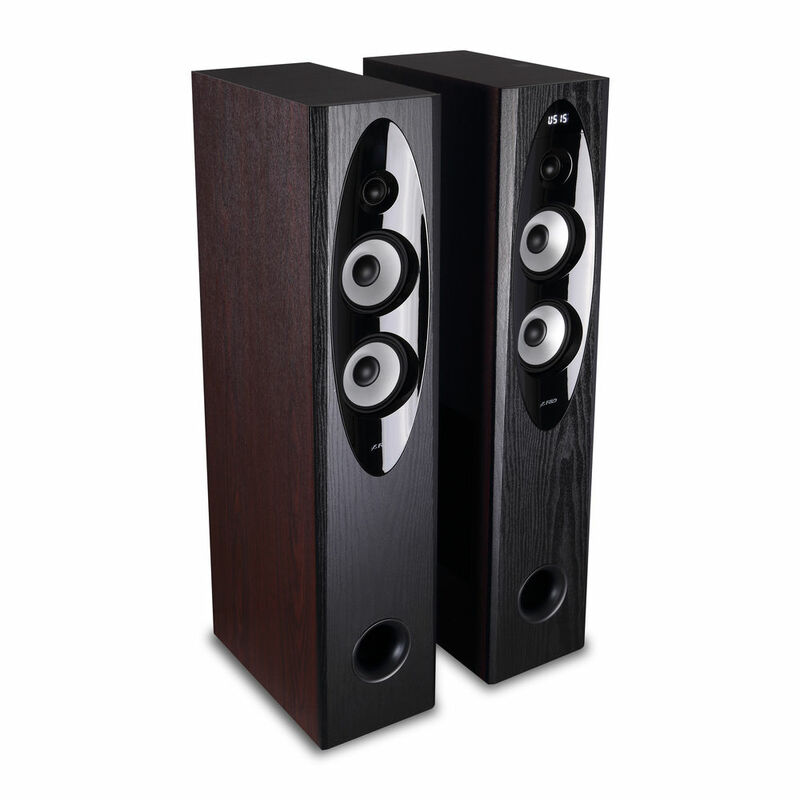 Very good and high quality sound, bass is ok, overall best tower speakers at 9500.Rs. The wood finish of these speakers looks great in my living room. I highly recommend it over the black finish. They sound great, too! Thanks, Infibeam! The Sound is literally boombastic! Great Performance. 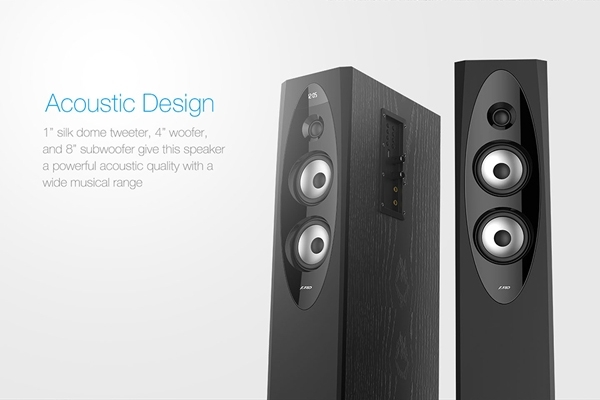 The quality of the speaker is really good. 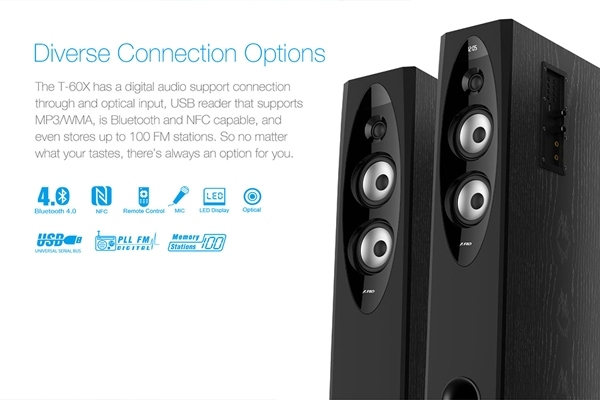 It also includes good connectivity options (Bluetooth, USB) radio. 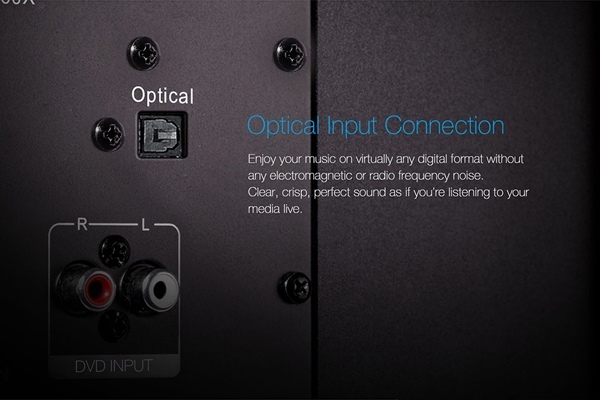 Also the sound quality is good. 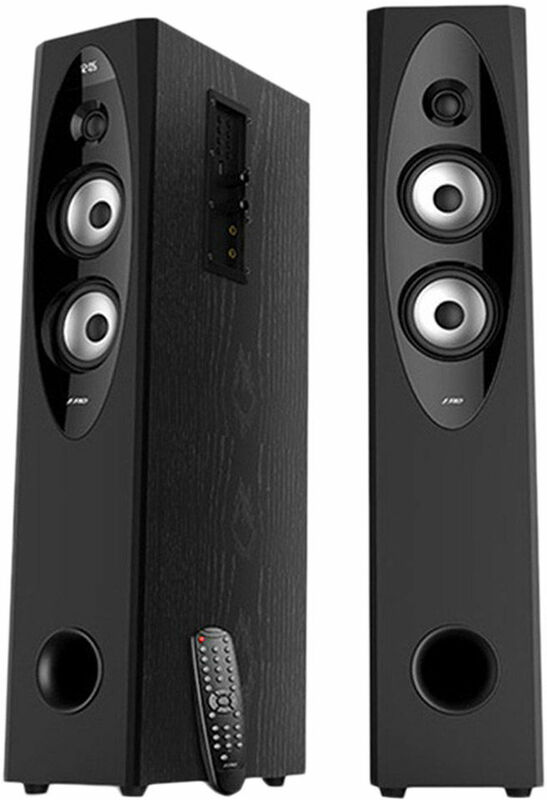 As per its colors & size, its sound quality..when start my sound system, it was booming..all were very happy, it was delay for 2 days, but F&D system is very good. 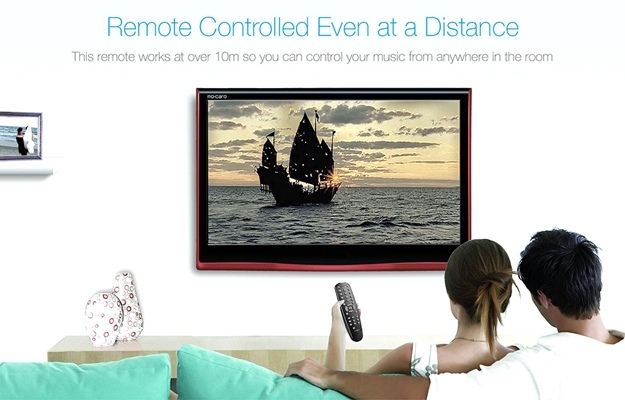 Brilliant...great quality at this price.....worth it. Thanks infibeam for quick shipping. 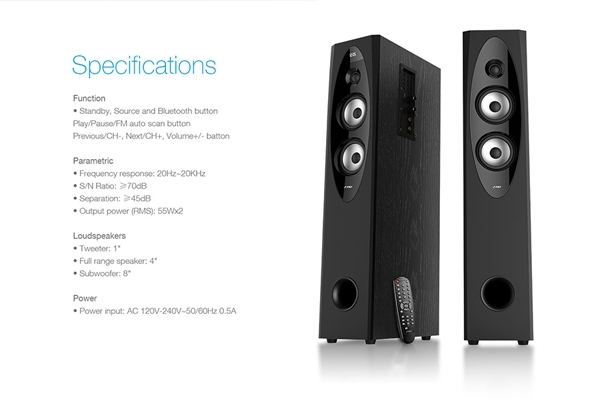 Excellent speaker system. Bass effect is amazing. Really worth buying.